La Escuela Sta. Elizabeth Seton proporciona a los estudiantes una educación católica basada en la fe que incluye un plan de estudios bien redondeado para los niños en todos los grados. Somos una escuela iPad 1: 1 y los estudiantes utilizan la tecnología para aprender contenido, crear proyectos, dominar las habilidades, y hacer la investigación. St. Elizabeth Seton School, sponsored by the Daughters of Charity, is a nurturing community in the Vincentian tradition. 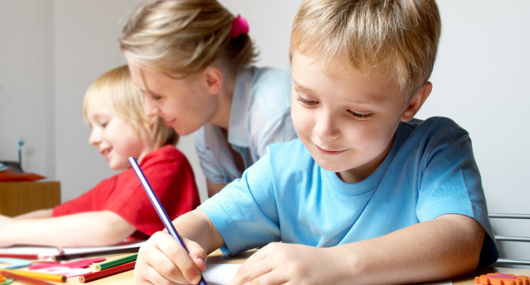 We provide holistic learning and a challenging curriculum to children of low-income families. Rooted in our expectation that our students can succeed, we foster a passion for academic excellence. We strive to awaken compassion, service, and respect for self and others in our students. In partnership with our school families, we empower them to become responsible contributing members of our church and society. Inspired by the spirit of St. Vincent de Paul, St. Louise De Marillac, and St. Elizabeth Ann Seton, we are committed to modeling their lives in service to the poor. As a Vincentian Catholic School, we are committed to the education of students from the low-income populations of East Palo Alto and the surrounding communities. ¡Visita la escuela Sta. Elizabeth Seton! Una de las mejores maneras de familiarizarse con la misión de la Escuela Seton es visitar y ver de primera mano el trabajo que los niños están haciendo. Se ofrecen recorridos durante todo el año escolar. 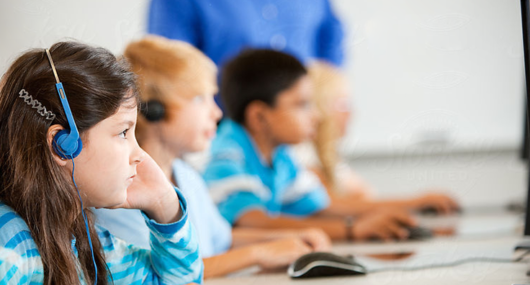 Siéntase libre de llamar a la escuela para una cita al (650) 326-9004. Usted verá nuestro edificio de preescolar y kindergarten de última generación, el Centro de Ciencias para Grados 5to – 8vo grado y nuestro Laboratorio de Tecnología que acomoda a estudiantes de Kindergarten – 8vo Grado. Dentro del edificio principal, todos los salones están equipados con pantallas LCD y proyectores interactivos. El auditorio de la escuela tiene un gran escenario para presentaciones escolares, y también sirve como una amplia sala de reuniones para reuniones de padres, bailes y eventos. La cocina de la escuela permite preparar el desayuno y el almuerzo todos los días, así como nutritivos aperitivos por la tarde para nuestros estudiantes. La parte exterior del plantel al aire libre tiene una gran estructura de patio de recreo, canchas de baloncesto, una cancha de voleibol y un campo de cesped para el fútbol, el béisbol y otros juegos. Hay toldos instalados justo afuera de cada salon para que los estudiantes puedan comer su almuerzo protegidos tanto del sol como de la lluvia. Este espacioso campo de juegos al aire libre es un ambiente ideal para clases de educación física, para que los niños jueguen y se mantengan físicamente activos durante los recreos, y está disponible para prácticas deportivas para los niños mayores que tienen la oportunidad de participar en atletismo competitivo. El centro de hospitalidad de la parroquia sirve como un lugar brillante y agradable para las reuniones de la parroquia, eventos de recaudación de fondos y reuniones de los benefactores de Seton. Hemos dado la bienvenida a invitados especiales como el Honorable George Shultz, ex Secretario de Estado. St. Elizabeth Seton School: Dedicated to Educating the Children of East Palo Alto and the Surrounding Underserved Neighborhoods Since 1978. The building we now know as St. Elizabeth Seton School was built in 1951 and was first named St. Thomas Aquinas School under the aegis of the Archdiocese of San Francisco. It was run by the Sisters of St. Joseph of Carondelet and enrolled the children of St. Thomas Aquinas Parish. A church, St. Albert the Great, was then built on the campus, and the school’s name was changed to reflect that of the church beside it. By 1972 the school’s enrollment was declining as demographics changed in Palo Alto and schools of all kinds closed their doors. Archbishop McGucken proposed consolidating with Our Lady of the Rosary School, also a Palo Alto school. Enrollment at both schools was still low, but by 1977 the Archdiocese took the bold step of committing itself to forming a Catholic Community School here, offering admission to children from East Palo Alto and the neighboring low-income communities. In 1978 the Sisters of Carondolet withdrew and the steering committee that was deciding the future of this school gave it a new name: St. Elizabeth Seton Catholic School of Palo Alto. Beginning in 1981 several major changes took place when the Diocese of San Jose was formed, and under the new diocese St. Elizabeth Seton School became a “mission” school supported by the St. Thomas Aquinas parish community. However, the funding was not enough to sustain the school, and in the year 2000, at the request of the bishop, the Daughters of Charity made the decision to co-sponsor the school. This meant the Daughters of Charity Foundation would subsidize the operational costs while the Diocese of San Jose would take care of the maintenance and capital repairs to the campus. The school would remain a diocesan school and the staff would remain employees of the diocese. Why St. Elizabeth Ann Seton? In the early 1800’s Elizabeth started a small school in Baltimore, MD which is considered the beginning of the Catholic school system in the United States. Other women came to join Elizabeth’s mission at this tiny school and became the nucleus of the first American order of Catholic sisters, the Sisters of Charity of St. Joseph. This community spread and today consists of six different groups of Sisters of Charity, engaged in all kinds of good works. The sisters at Emmitsburg joined with the Daughters of Charity of St. Vincent de Paul in Paris in 1850, as Mother Seton had apparently wished. Mother Seton was canonized in Rome in September 1975. We are honored to carry the name of St. Elizabeth Ann Seton as we continue our work with our students. In 1633 Vincent de Paul, a humble French priest, and Louise de Marillac, a widow, established the Company of the Daughters of Charity as a group of women dedicated to serving the “poorest of the poor.” Prayer and community life were essential elements of their vocation of service. Almost two centuries later, Elizabeth Ann Seton, the American foundress of the Sisters of Charity of St. Joseph, adapted the rule of the French Daughters of Charity for her Emmitsburg, Maryland community. In 1850, the Emmitsburg community united with the international community based in Paris. Today, the Daughters of Charity are an international community of over 19,000 Catholic women ministering all over the world. 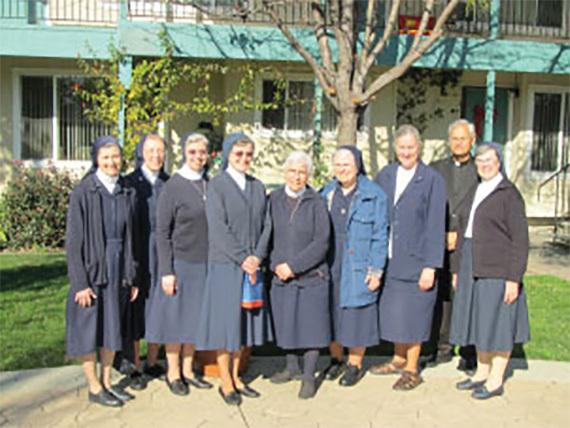 The Daughters of Charity still serve the “poorest of the poor.” Their ministry touches those in need through education, health care, social and pastoral services.